a system, as in the case of the room with the door left open. 2. 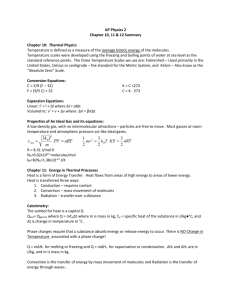 List three examples of a thermodynamic system. 5. Fill in the table below with the correct scale and unit. © 2012 Project Lead The Way, Inc.
8. 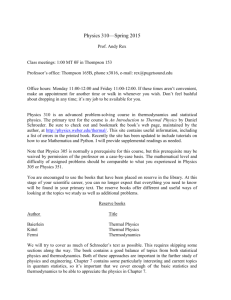 Define the Zeroth Law of Thermodynamics. 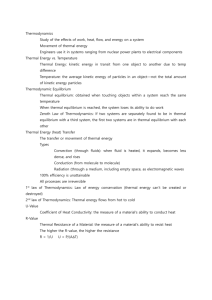 system, the first two systems are in thermal equilibrium with each other. 9. 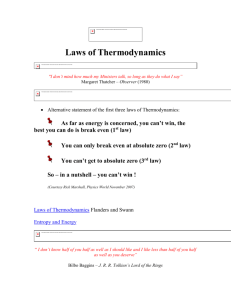 Define the First Law of Thermodynamics. 10. 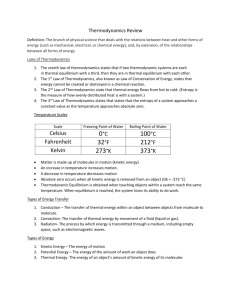 List two ways thermal energy can be increased in a system. 11. 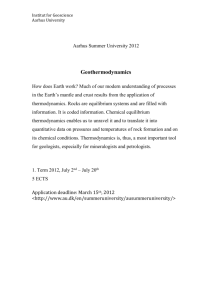 Define the Second Law of Thermodynamics. 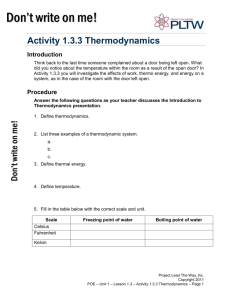 Thermal energy flows from hot to cold. 14. List two examples of convection. 16. 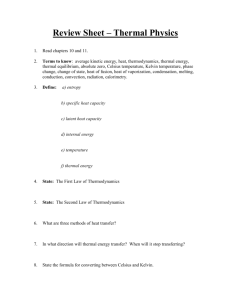 List two examples of conduction. 17. Define the following variables. water at 25 °C. 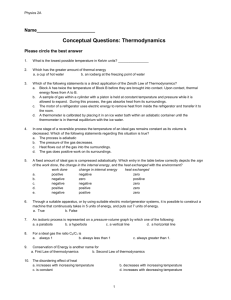 Determine the final temperature (Tf). 18. List all known values. 19. List all unknown values. on the top of the box (assume no heat is lost from the bottom or sides of the box). 23. List all known values. 24. List all unknown values. (30–31) Use the provided R-value chart and illustration below to calculate the Rvalue of the wall cavity and the R-value at the stud location. 33. List two examples of radiation. All objects lose and gain thermal energy by electromagnetic radiation. surface area of the student is 1.50 m2. 35. List all known values. 36. List all unknown values. 38. 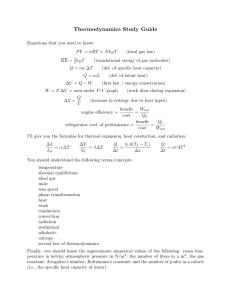 Apply known values to equations. Particle Board – ½ in. 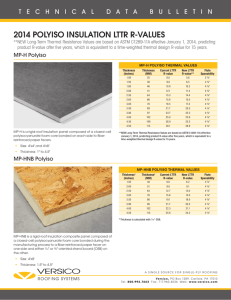 Particle Board – ¾ in. Extruded Polystyrene 1 ½ in.